We manufacture & supply ozone generators worldwide in all application of Water & Wastewater treatment. Our ozone generator ranges from 2gm/hr to 1kg/hr. We also provide ozone generator for large application in multiple options. The key factor for the success of ozone technology is not only having the equipment but its integration & implementation. And we have master this art over a period of time in all applications of Hotels, Hospitals, Office Buildings, IT parks, Industries, Factories, Food Processing, Malls, Exhibitions Centre, Water treatment applications, Sewage Treatment Plants, Laundry, HVAC/AHU, Cooling Tower, etc. Ozone is used for various applications that includes dis-infection of water, mineral and bottled water plants, swimming pool water dis-infection, effluent and sewage water treatment etc. Apart from this ozone find various other application that includes dis-infection of environment in hospitals, public places, offices. 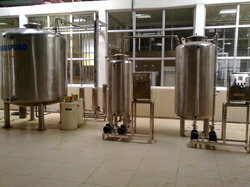 We offer complete Range of Water Treatment Plants including Post Treatment units that includes Ozonator With Mixing Tank. We proposes 4 - 8 min contact time for Ozone Mixing and provides Ozonator unit with Oxygen Concentrator, Ventury Injector, Mixing Vane Cylinder, Mixing Tank,Re-circulation Pump etc. 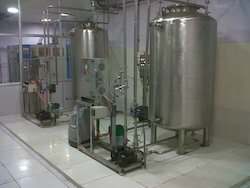 We offers complete systems from 4 gms per hour to 500 gms per hour and more with multiple units. Oxygen from the Air or from Oxygen concentrator is converted to Trivalent Ozone molecule to dis-infect water. These systems are used for dis-infecting water either as a pre or Post Treatment. Systems are provided with ORP Controller to cut in and cut out the Ozone system. In case ozone is low, same is monitored online and flow is diverted using Auto Diversion Valve. 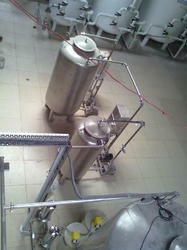 We are involved in offering the best quality range of Ozonation System. The given product is widely used for the waste-water treatment and is available with us in various technical specifications to meet the divergent requirements of clients. 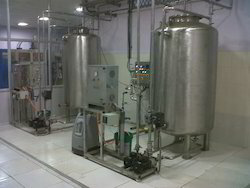 We are engaged in offering Ozone Disinfection Plant to the clients. Looking for Ozonator System ?